The Just Transition Framework has a long history with union and environmental justice communities working to transition economies from extractive to regenerative. FCAC aims to continue this history in Alaska by using multiple strategies to garner a Just Transition in Fairbanks. We are working with partners across the state to ‘Alaskanize’ this framework and build the collaborative solutions to move us away from a singular fossil fuel economy. To learn more about the framework, strategies, and principles please click here! The Working Groups are critical to our success, each of these working groups utilizes a particular strategy toward the FCAC mission. Our working groups are people powered and driven by community volunteer leadership. We value shared skills in developing plans and carrying them out. Below is a brief outline of each working group with links to their specific pages for your greater involvement. The Council works to ensure the working groups maintain healthy communication and alignment. The Council is made up of a liaison from each working group and partner organizations. This is a hard working group of dedicated individuals. FCAC is primarily a volunteer powered group, our successes are due to the many hours of volunteer time that our community has given. However, we recognize the need to better support this amazing base with a small staffing team. We currently have two positions, we hope to be able to have more staff in the future. See our current council and staff list HERE. We also value principled organizing that endeavors toward systematic change and elevates power of communities that have been continuously oppressed. FCAC has adopted the Jemez Principles for Democratic Organizing. These principles were developed in 1996 by people and groups from different cultures, politics, and organizations. We ask that all FCAC members read, understand, and agree to these basic principles. We are able to do all the work we are doing because of our partnerships with dynamic and innovative organizations from our various sectors of our community. See our partnered organizations here soon. Climate justice is an issue of ethics and spiritual impera. This working group works to support Fairbanks faith communities to explore the topic within their congregation's moral frameworks and move towards collective action. "Economy" should not just be about maximizing income–we believe in advancing livelihoods that positively affect people, the land, and the climate. This working group is focused on reshaping the definition of "economy." Our working group is building a vision and plan toward a Regenerative Economy and we are elevating Alaskan voices calling for this vision. Renewable energy works for the Interior! 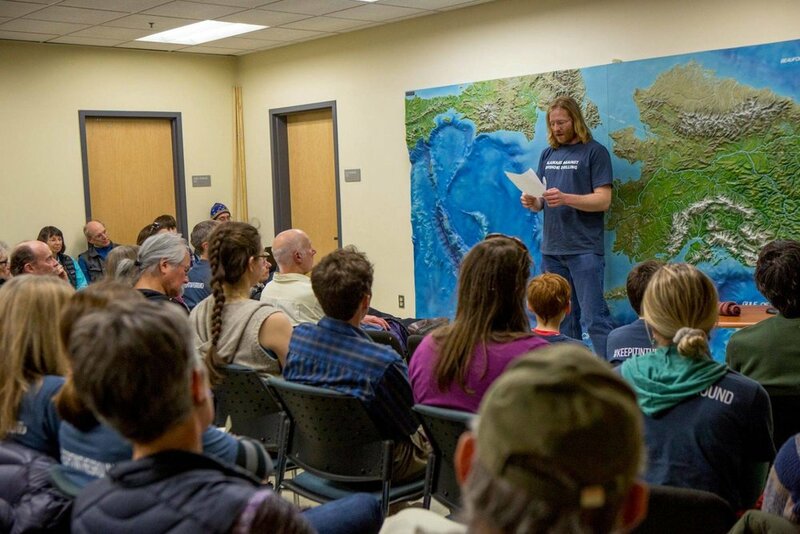 This working group is raising awareness of the viability of solar, wind, and other climate-friendly energy sources in meeting 100% of our community's energy needs–as well as pushing initiatives to expand their use by Alaskan individuals, organizations, and utilities. We are young people raising awareness amongst our friends and family about the environmental issues our community faces. We are working to support local and statewide policy solutions to meet the climate crisis and better prepare our community for the challenges of climate change. In order to avert the worst of climate change as well as to prevent local environmental and community pollution, the vast majority of fossil fuels need to remain un-extracted. This working group works to prevent further fossil fuel expansion in Alaska.